The Colorado Symphony and the Dr. Martin Luther King, Jr. Colorado Holiday Commission invite you to a free annual celebration of Dr. King’s life and legacy as a leader, visionary, and pillar of the Civil Rights Movement, to be held Jan. 13 at Boettcher Concert Hall in The Denver Center for the Performing Arts Complex. Now in its 25th year, this community concert recognizes individuals and organizations who embody King’s dream of equality, peace, service, and social justice. New this year, the Colorado Symphony will be joined by Denver’s Flobots, a hip-hop ensemble that uses music as a tool to ignite awareness, action, and positive change. Hosted by TV personality Tamara Banks, the program will be conducted by Scott O’Neil and will include symphonic selections by Beethoven and Dvorak as well as African American composers Brian Keane and George Walker. In collaboration with the full orchestra, the Flobots will perform orchestral arrangements of their music, with original arrangements by Tom Hagerman of DeVotchKa, commissioned by the Colorado Symphony. The winners of four Humanitarian awards, as well as the Menola Upshaw Lifetime Achievement Award winner, will be honored during the program; all honorees are nominated and selected by the community and overseen by the Dr. Martin Luther King, Jr. Colorado Holiday Commission. The concert is part of a week-long celebration of Dr. King’s work as well as a call to community action. For a complete list of events, visit www.drmartinlkingjrchc.org/. Tickets to this free concert are available at the Blair-Caldwell African American Research Library, 2401 Welton St., and the Colorado Symphony Box Office in the Boettcher Concert Hall at 14th and Curtis streets. For details, visit www.coloradosymphony.org. The Box Office is open from 10 a.m. to 6 p.m. Monday-Friday; noon to 6 p.m. Saturday, and two hours before every performance. Please note the box office will be closed Thursday and Friday. A ticket is required for admission. All seating is general admission on a first come, first-served basis and a ticket does not guarantee a seat. Every year, foodies flock to The Big Eat to sip, snack and celebrate the culinary diversity of Denver’s indie restaurants.This year, while strolling the new event site in The Galleria at the Denver Center for the Performing Arts (on 14th Street between Champa and Curtis), you’ll get wined and dined by local chefs from 7:30 to 10:30 p.m. (VIPs enter at 6:30) Thursday. Some of the participating restaurants: Ace Eat Serve, Adelita’s, Ambli Gourmet Eatery, Appaloosa Grill, Argyle Whiskey Beer, Bones, Carmine’s on Penn, Central Bistro & Bar, dbar , Euclid Hall, Gallo di Nero, Harman’s Eat Drink, Interstate, Jonesy’s Eat Bar, Krewe BBQ, Limelight, Little India, Lou’s Food Bar, LowDown Brewery + Kitchen, Marco’s Coal-Fired Pizza, Panzano, Rialto Café, Snooze, an A.M. Eatery, St. Ellie, Steuben’s Food Service, Steve’s Snappin’ Dogs, Stoney’s Bar & Grill, Tana’s Delights, The Lobby, Trillium, Uber Eats, Vesper Lounge, Vesta Dipping Grill, Work & Class and the Wynkoop Brewing Company. Tickets are $55 per person, which includes tastings from 36-plus restaurants, craft beer, wine, entertainment, cocktail demos and more. VIP tickets are $75 per person, which includes early entry with special tastings from newly opened restaurants plus a VIP only hangout. The Big Eat Private Balconies for a party of 10 are $1,250. Includes early entry and a private space with a balcony overlooking the event. Platters of food will be waiting for your arrival with an to an open bar with craft cocktails, beer and wine. “The Book of Mormon,” the smash hit Broadway musical currently playing a record-breaking engagement at The Buell Theatre, will be back by popular demand for a limited engagement Aug. 11-Sept. 12, 2015, at The Ellie Caulkins Opera House. Tickets go on sale at 10 a.m. Monday with a limit of eight per household. 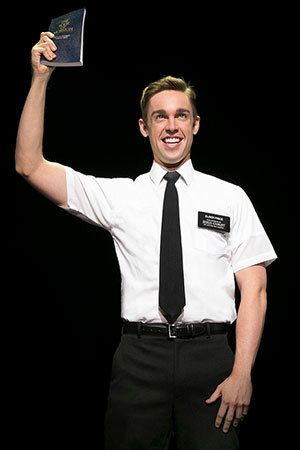 “The Book of Mormon” holds the all-time single ticket on-sale record for The Denver Center for the Performing Arts with more than 38,000 tickets sold on June 10. 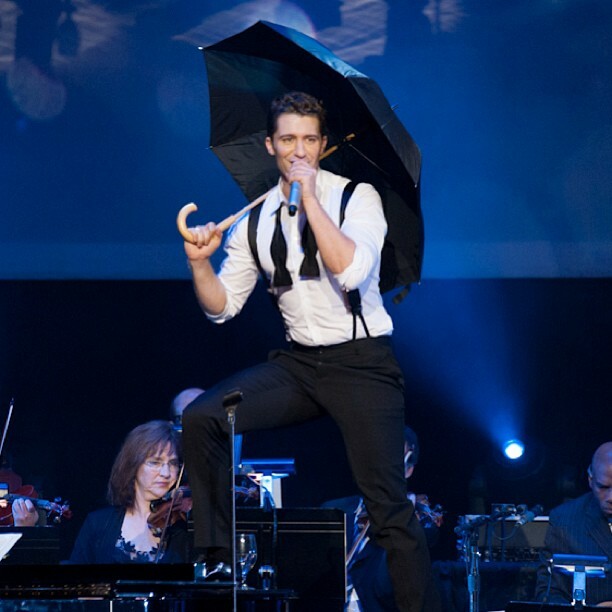 The previous record also was “Book of Mormon” for its 2012 national tour launch. 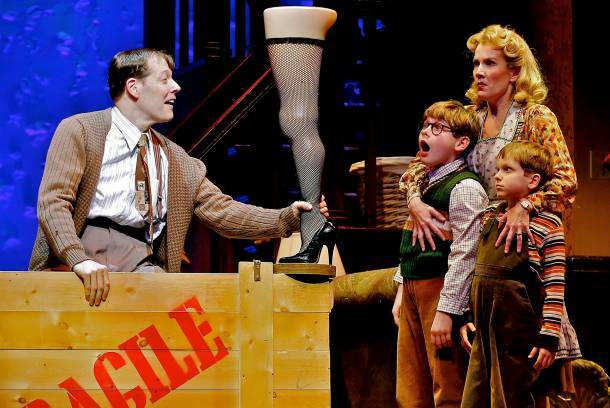 Tickets for the return of the musical start at $35, and are available by calling 303-893-4100 or at the Denver Center Ticket Office in the Helen Bonfils Theatre Complex lobby or online at www.denvercenter.org. Because of a technical glitch, Monday’s column went out to subscribers with only a few lines from the first item. Let’s rewind the clock to a few days before the Broncos victory over the Jaguars, who though winless, were certainly no pushovers in Sunday’s game. Former Broncos tight end turned CBS Sports commentator Shannon Sharpe, in Denver Sunday to cover the Broncos-Jaguars game, was spotted at his former quarterback, John Elway‘s Cherry Creek steak house Saturday night. But while he warmly greeted Elway and his wife, Paige, in the restaurant, was he also picking Elway’s pocket? During the “NFL Today” broadcast, Sharpe told fellow football prognosticators James Brown and Dan Marino that he had dined at Elway’s establishment Saturday night. “I put dinner on John Elway’s tab,” Sharpe said, most likely joking. I can only confirm that Sharpe, joined by fellow former teammate Rod Smith, were there, but who paid is not known. Meanwhile, back at “The Late Show With David Letterman” last week, lead guest Michael Strahan, star of “Live! With Kelly and Michael” and former New York Giants defensive end, and Letterman discussed Broncos QB Peyton Manning. Although Letterman will always favor his hometown Indianapolis Colts, he can’t “quit” Manning after all his years as the Colts QB. 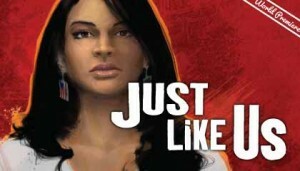 I took a neighbor to see “Just Like Us,” the play adapted from the book by Helen Thorpe, the estranged wife of Gov. John Hickenlooper, at the Stage Theatre last week. We were the two mature women sitting in the first few rows with tears streaming down our faces. The story follows the plight of four young Latina women — two who are U.S. citizens and two who are illegal immigrants — as they struggle with their high school, college and post-college years. At the urging of Kent Thompson, Denver Center Theatre Company’s producing artistic director, Thorpe agreed to let playwright Karen Zacarias transform her words onto the stage. The result is a riveting performance, which no matter where you stand on immigration, will at least make you think. The cast is simply marvelous and the sets move around almost as fast as the teacup ride at Disneyland. If you can go, go. 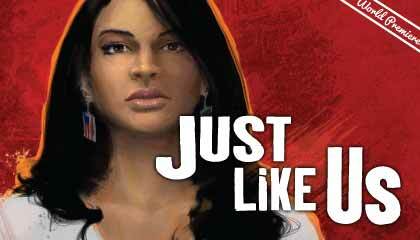 “Just Like Us” plays at the Stage until Nov. 3. Tickets: 303-893-4100 or at www.denvercenter.org. Call it the fickle finger of fate. Call it divine intervention. Or call it just plain luck. 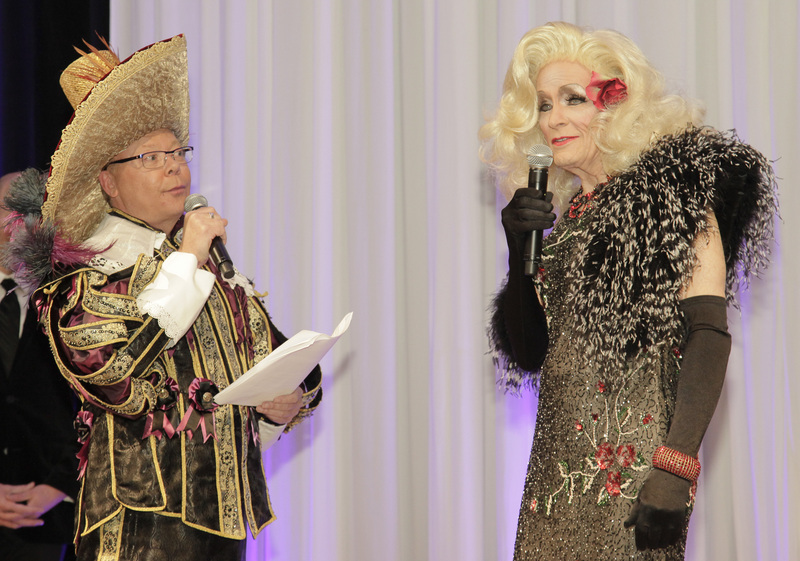 But on Saturday during the annual Champagne and Diamonds gala to benefit Sense of Security, the evening’s last act was a random drawing from a glass bowl full of names who had purchased a chance to win a $12,000 diamond necklace donated by Hadley’s House of Diamonds. Drum roll, please. The winner was Vicki Tosher, and the crowd gathered at the downtown Grand Hyatt went wild. Tosher founded the breast cancer patient financial support charity 13 years ago after a dear friend had been diagnosed. Tosher is a two-time survivor. 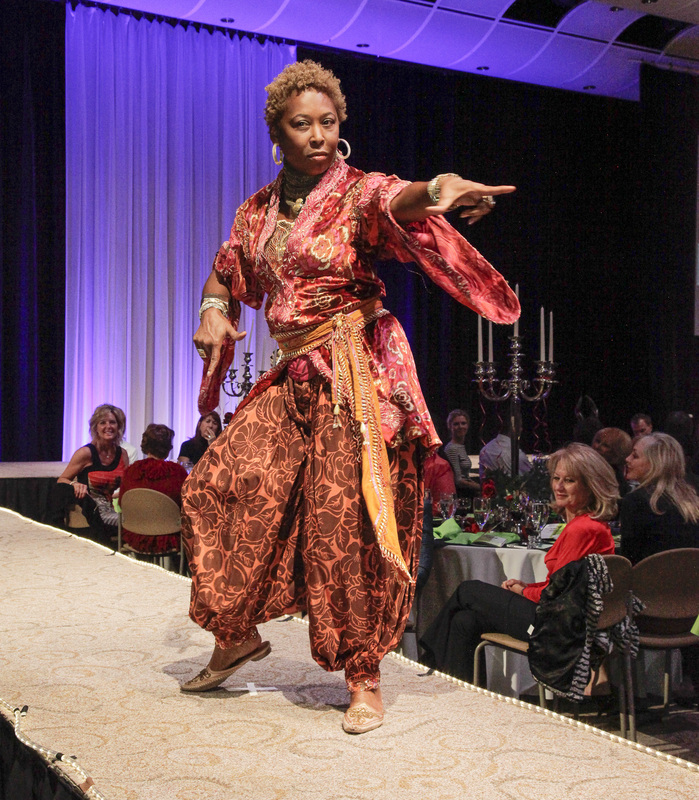 When her name was called, Tosher wobbled toward the dance floor and her prize in sheer shock. Then she fell to her knees. Congratulations, Vicki. There is no one more deserving. Sparkle on, girl! 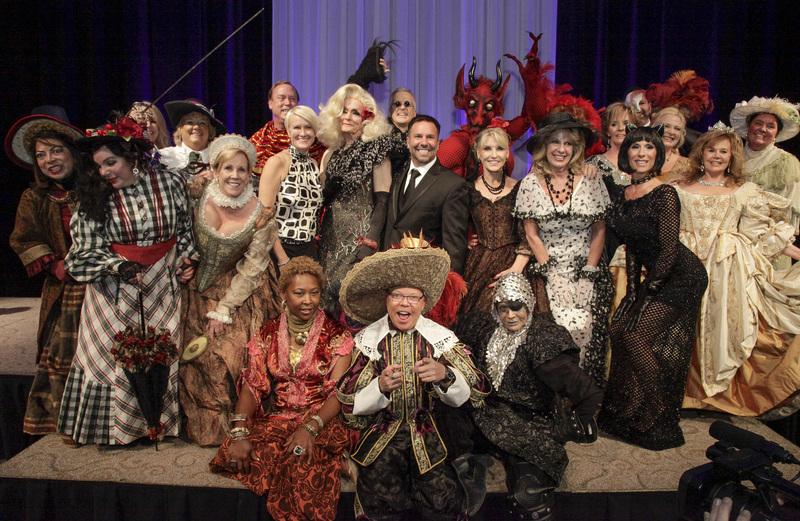 It may be a bit premature for Halloween, but nevertheless, some of Denver’s fiercest supporters of The Denver Center for the Performing Arts will be modeling costumes from the Denver Center Theatre Company’s closet during Theatre Threads from 11:30 a.m. to 1 p.m. Oct. 23 in the Seawell Ballroom. Proceeds will benefit DCTC and its education programs. From the looks of the get-ups modeled in the past, this event will upstage a Vegas floor show. This years models are Jeremy Anderson, Jamie Angelich, Fiona Baldwin, Murri Bishop, Keri Christiansen, Sharon Cooper, BJ Dyer, Terri Fisher, Adrienne Ruston Fitzgibbons, Alice Foster, Roger Hutson, Carmel Koeltzow, Gayle Novak, Stacy Ohlsson, Loretta Robinson, Jackie Rotole, Robyn Taylor and (dame) Judi Wolf. But a would-be thespian also hinted that DCPA chairman and CEO Daniel Ritchie is expected to get into a get-up. 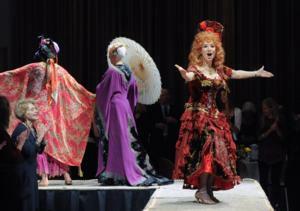 The event features the aforementioned fashion show and luncheon hosted by the Denver Center Alliance. Tickets are $100 per person. Reservations: 303-446-4815 or visit www.denvercenter.org/threads. If you haven’t heard Marczyk Fine Foods and Fine Wines owner Pete Marczyk wax poetic about the perfection of wine and food pairings, you’ve missed seeing a showman at his grapey best. Now’s your chance. Marczyk, along with colleague Maxine DiJulio, will present a selection of some of their favorite Italian holiday wines representing styles you may know but varietals you likely don’t during an event sponsored by The Denver Chapter of the American Wine Society, beginning at 6:30 p.m. today (Oct. 16) at Panzano, inside the Hotel Monaco at 909 17th St.
Each course, prepared by exceptional executive chef Elise Wiggins and her team, will be paired with two wines of similar styles but at different price points. Attendees will compare and contrast these wines and then pick a favorite. After the votes are counted (barring any hanging chads), the price of each will be revealed. The event is $65 for AWS members and $75 for non-members and guests. Registration is online only by visiting https://www.blacktie-colorado.com/calendar/event-detail.cfm?id=26189. The accolades keep coming for Colorado, especially for two suburban Denver cities. Money magazine ranked its “best places to live” and Louisville (ranked No. 2) and Parker (12th) were cited for their economic success and excellent housing. Louisville previously had been ranked No. 1 twice on the Money list in the past. The northwest Denver suburb that lies just east of Boulder is noted for “its place in the technology-rich Denver-Boulder corridor” that “has kept the job outlook solid.” Money also said that Louisville is a “great place to raise a family, with well-regarded schools and a safe community. Read more about Louisville here. Parker was noted for its performing-arts center (particularly its 500-seat theater and outdoor amphitheater) and the H2O’Brien Pool water park. You can read more about Parker here. Money says Parker has rebounded nicely from the housing downtown, citing increased new construction and its 30-minute drive to downtown Denver. As the saying goes, “there’s no such thing as bad publicity.” Especially if it’s free publicity. Boulder Canyon’s potato chips got a plug on cable TV’s “Breaking Bad” Sunday night when a character in the AMC network series is shown munching on a bag of Boulder Canyon’s sea salt and cracked pepper chips. 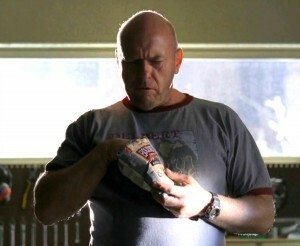 In Sunday’s mid-season premiere, Hank Schrader (played by actor Dean Morris), a Drug Enforcement Agency agent and brother-in-law of Walter White, the series’ chemistry teacher turned crystal meth maker – is digging into a bag Boulder Canyon’s chips. How did Boulder Canyon take the news that its product was featured on a hit cable series about cancer-stricken high school teacher (played by Bryan Cranston) turned drug kingpin? Boulder Canyon said it did not pay for product placement on the show. The Boulder Camera first reported the story and you can read it here. Congratulations to one of the good guys — former Denver Post theater critic John Moore — who was hired to fill the Denver Center for the Performing Arts’ newly-created position of Associate Director of Content Strategy. Moore will create and distribute relevant and valuable content to engage and retain customers and develop a positive, insightful experience for theater patrons. As expected, his hiring was released on Facebook. After a 28-year career in the newspaper industry, Moore founded CultureWest.org, a website dedicated to news about the Colorado theater community. 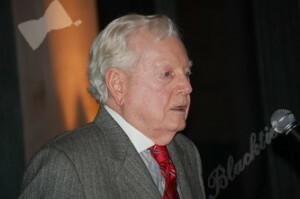 As theater critic at The Post, Moore wrote more than 3,000 reviews, feature stories, columns and breaking news stories. Moore was among the first Post employees to embrace modern technology and social media and he conceived and implemented an online portal that served as a model for other markets around the country. Moore’s video podcasts, script samples, photo galleries and an additional site devoted to coverage of high school theater. I could write countless words or praise for John Moore, but couldn’t be more happy for him. The Denver Center is lucky to have someone of his skill and dedication to Colorado theater. 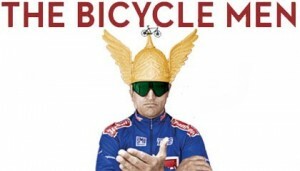 Tickets are on sale at www.denvercenter.org or by calling 303-893-4100. Former Ultimate Fighting Championship fighter Randy Couture will host a new reality series, “Gym Rescue,” on Spike TV and the show is looking at Denver gyms to rehabilitate. The show is based on the hit Spike TV show, “Bar Rescue,” in which host and bar/restaurant expert Jon Taffer brings a team to a failing bar and turns it around. Taffer came to Denver recently to help Zanzibar Billiards in downtown Denver and Kazbah Lounge in Aurora. Famous drag queen RuPaul having brunch at Panzano on Sunday. “Real Housewives of Beverly Hills” star Taylor Armstrong and her attorney/boyfriend John Bluher brunching Sunday at Rioja. She was also seen hanging out in the EDGE restaurant at The Four Seasons on Tuesday night. I’m such a big fan of all the “Real Housewives” shows that I had a star-struck moment chatting with Armstrong, who couldn’t be more charming!